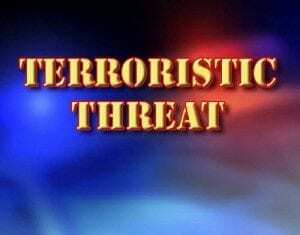 DAWSONVILLE, Ga. – A 13-year-old Dawson County Junior High School student remains in custody today after being charged with making a terroristic threat on social media. Dawson County School System Superintendent Dr. Damon Gibbs said, via a Facebook post, that officials learned of the threat and notified the Dawson County Sheriff’s Office who took the student into custody on Wednesday. Gibbs said the school system will deal with the student per its code of conduct once the criminal charge has been addressed. On the sheriff’s Facebook page, Johnson urged citizens to continue to report crime. “We are continually encouraged to see that our students are being mature, responsible peers who are acting to report these issues. It will only be through a collective and concerted effort, that we will realize greater success,” Johnson stated. This is the second time in two weeks a Dawson County student has been charged with making a violent threat against a school. In February, a 17-year-old Dawsonville High School student was charged with making a terroristic threat.